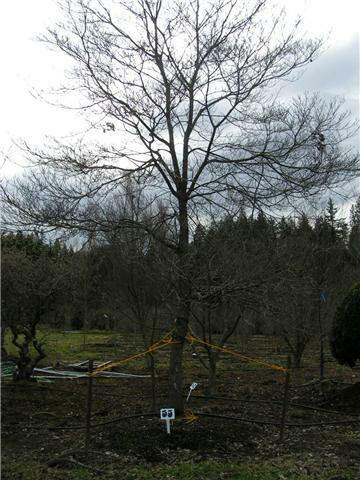 We often give these trees numbers to make them easier to identify. 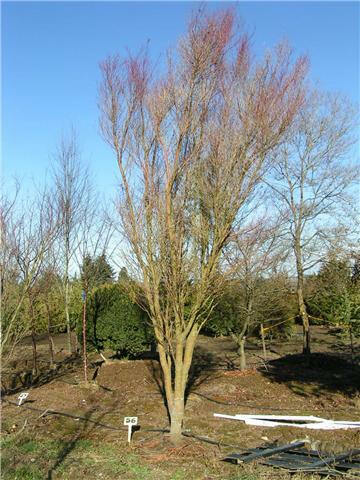 Please note that our supply of these trees is constantly changing, so contact us for current availability. 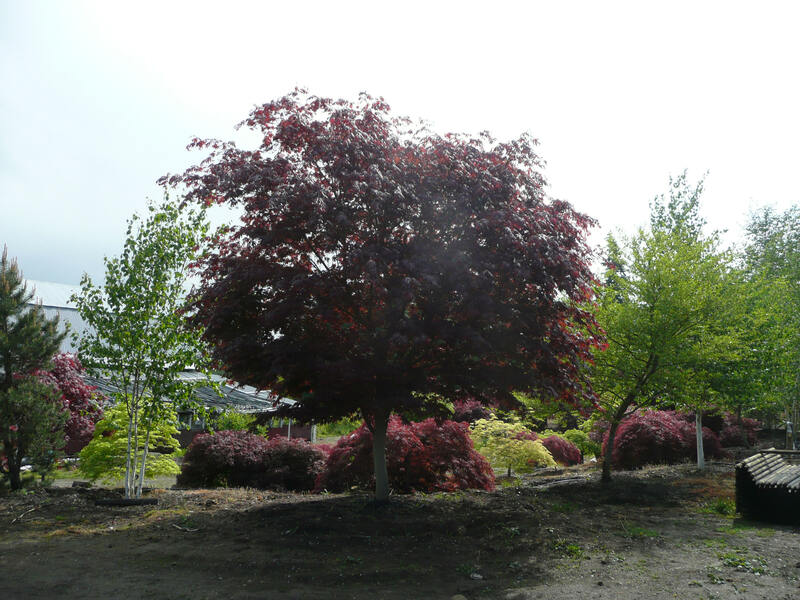 We also have a nice selection of Mature Laceleaf Japanese Maple, which have their own page. Gorgeous Single-trunk Redleaf Japanese Maple. 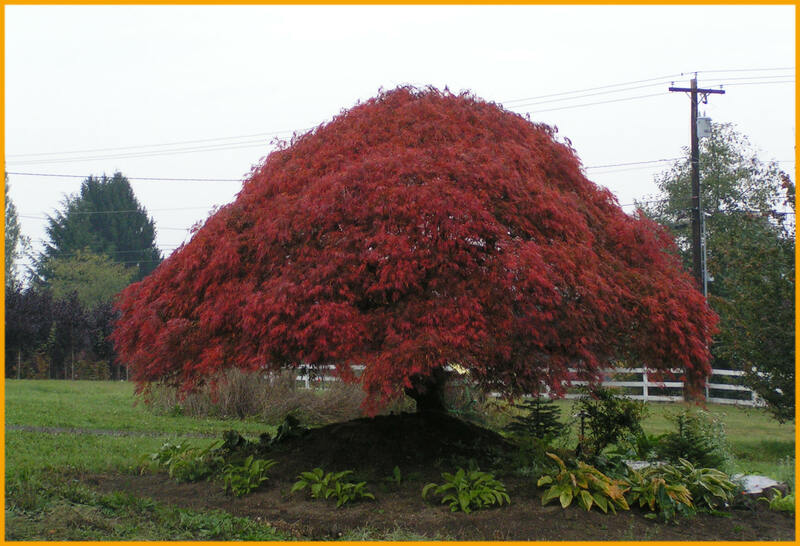 Do you have a mature Japanese Maple that you'd like to have moved or removed? 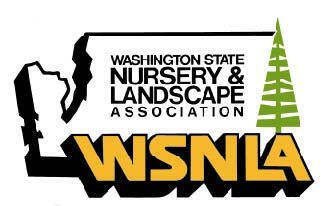 Please see our "Transplanting & Tree Removal" services. Beautiful, lacy, fine-textured foliage. 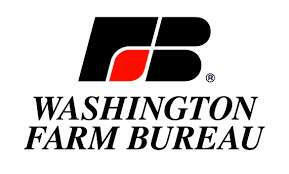 Small green leaves with white margins can turn to burgundy-pink tones in the fall. 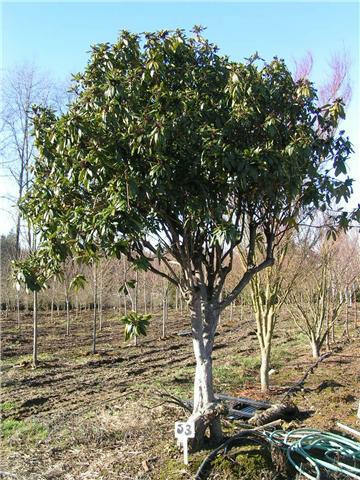 Vase shaped growth habit. Sharply – pointed palmate foliage. Lacy and fine-textured. 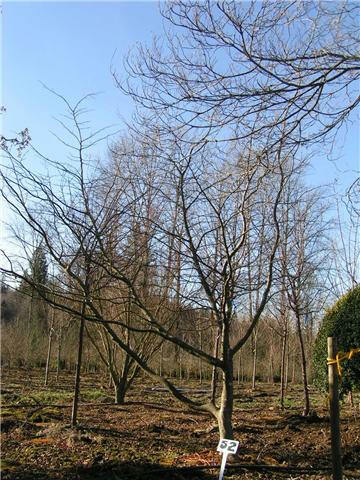 Low branching and wide spreading. 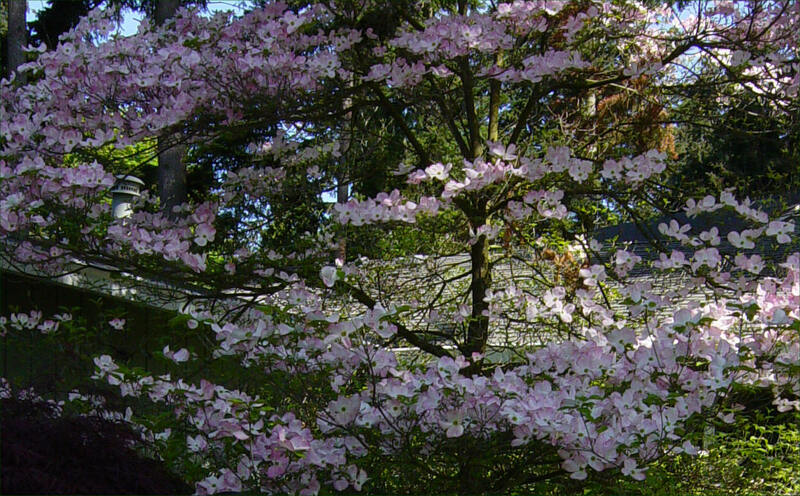 A really beautiful specimen tree. 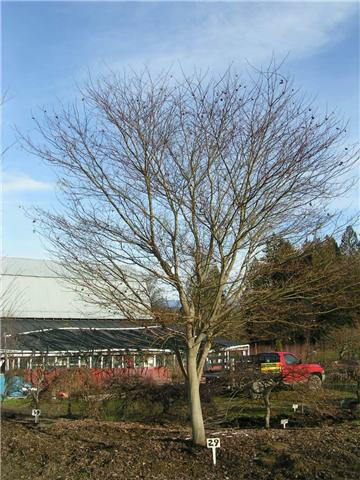 Very uncommon ornamental tree with exceptional red to purple fall color. As the tree ages, the bark flakes off in interesting patterns. Tiny red flowers in winter. 8’ Tall by 8’ Wide. Multi-trunked with two slightly twisting trunks. Pale purple to lavender flowers in spring. 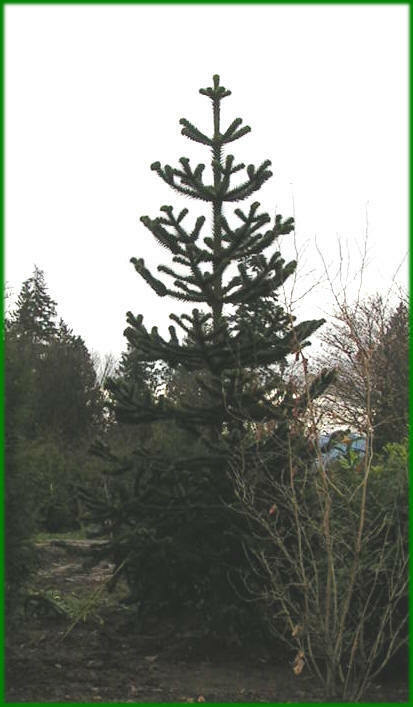 Unique Shape and foliage. #40 is 13' tall, #41 is 15' tall, both are approximately 6' wide. 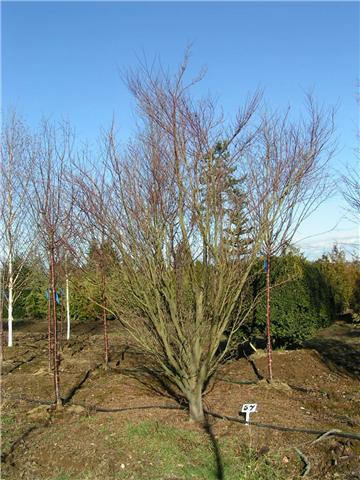 NOTE: We also have a nice selection of Mature Laceleaf Japanese Maple, which have their own page. 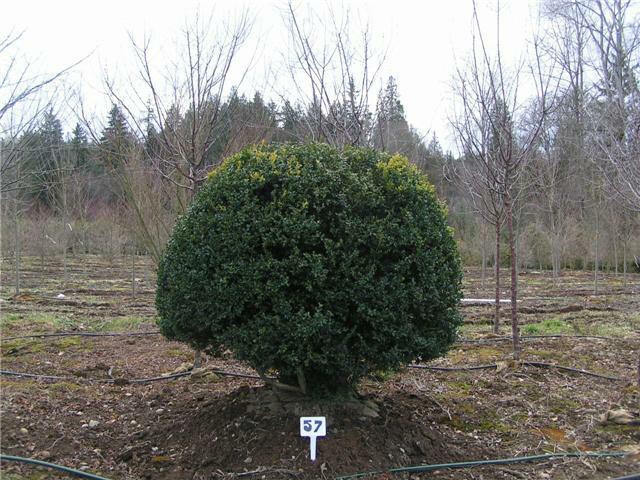 beautiful as stand-alone specimen Ornamental & Landscape Trees. 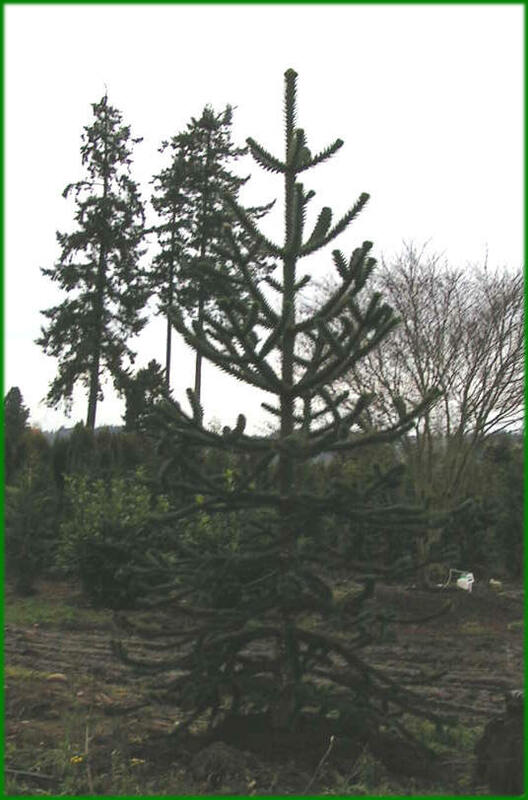 Evergreens such as Douglas Fir, Excelsa Cedar, Leyland Cypress, etc.